Having a brand doesn’t mean you just slap a fancy logo on your webpage. Creating a brand identity guide means that you are always recognizable. By creating a certain tone, style, and visual identity, you are making sure that you have a consistent digital brand. A brand identity guide ensures that every experience your audience has with your brand is consistent no matter where they engage with your brand. This will help to establish your customer’s memory structure around your brand. And with all the competition you face, having customers remember your brand is key when trying to grow your business. One of the biggest struggles for digital brands is being remembered. Thus, ironing out memorability issues are a huge deal when building a digital brand. A brand identity guide can fix that and give you the digital brand you know your business needs. What are your values? What sits at the core of your business? These are important questions when defining your brand. This is where text becomes important. Your audience wants to know your mission statement, your background story, and what problem your brand is going to solve. Take a moment to shine and show how you are different from your competitors. Figuring all of this out will be beneficial to you too. By answering these questions, you’ll be much better able to create on-brand content and generate confidence in your audience. It is this confidence that will create more interest in your site and consequently build your business. Knowing your brand and creating a brand identity guide will also help your employees. A business isn’t usually made of just one person (if that’s you, please raise your hand). Everyone involved should have a clear picture of what they are doing as well as why they are doing it. Without this direction, your digital brand looks inconsistent and become buried in the void of the internet. Your brand is who you are. It is indescribably necessary to know this one thing before you get started on anything else. Without the answers to the questions of who are you and why are you creating this business, you won’t be able to figure out what to do with any of the other steps listed. Your brand is your basic entity and figuring it out is the first step toward your success. Your brand voices should be familiar to and aligned with your target audience. How you say things will determine how well it’s received by your audience. Are you corporate? Friendly? Humorous? Whichever you choose, all of your articles need to follow the same tone. Your brand voice helps to establish your reputation. The voice you choose can connect with or isolate you from your target audience, so you need to be careful when picking which one you will use. Be sure to study your business to know which voice will appeal to the audience reading your articles. Even how you refer to yourself is a part of your voice. You should always refer to your business the same way. This is true for your website, emails, and official documents. Where ever your business is mentioned, it must always be said the same way. Remember, consistency is key. Your voice is what gives your articles cohesive unity regardless of what your webpage is about. Your voice links everything together and makes it possible for your audience to make connections between your offer and your intent. It is this connection that will keep them coming back. Therefore the voice of your brand directly impacts your customer perception willingness to patronize your business. The style of your brand encompasses the overall ‘look’ of your business. Not all digital brands are created equal, so it is important to decide exactly what you want to look like to your audience. All of your pages will have to follow the same format. Therefore it is important to pick one that you feel accurately conveys your business. Your website could be minimal, abstract, clean, abrasive, vintage, or even aggressive. It all depends on what your business is about and how you want to come across to your audience. The wrong style can keep away the visitors that you’re trying to draw in, but the right style can act like a people magnet. Analyze your business before picking your style and be completely sure that they are a good match for each other. Your website should convey your brand style, and all elements should reflect that style as well. Buttons: these come in a variety of styles, 3D or flat, shiny or dull, and more. A button can stick out and throw off the feel of your website if you’re not careful. Tabs: most websites will have tabs to help guide visitors. They will also contain a font, can be a different color, and will need to blend in seamlessly with your theme. Colors: a clean webpage won’t have a rainbow of colors in its content, so be aware of your style before changing the colors. This is where your identity is truly created. All of these seemingly small choices affect your credibility. Switching back and forth between styles will confuse your visual identity and your audience. Confusion will only turn visitors away. Without people visiting the site, it will stagnate and die. 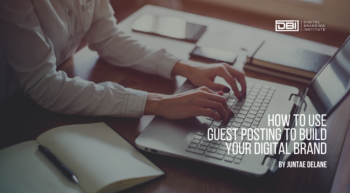 Consider visitors as the lifeblood your website, and it is through your website that you can connect your business, your ideas, and dreams, to other people. Your style will determine what people show up to consume your content. Hence, it is important to keep a close eye on all of the different little sections of your website and make sure that they all work together. In many cases, a logo is your audience’s first experience with your brand. It is what is most likely to make an impression. Your logo is your trademark. A great logo grabs the attention of your target audience. It also creates a memory structure that links your offerings with your logo. Your logo, above all else, will be used for years to come. It has to be used for everything, including invoices, business cards, email newsletters, and more. So, you need to be sure that you choose a logo that can stand the test of time. It should not be so futuristic that it turns off your target audience and so archaic that it’s perceived as not relevant. Font: This is the most important aspect to look out for. Anything that is too trendy will cause your logo to fade into obscurity and bring your business with it. Visuals: These are the little extras that set your logo apart. The visuals can be backgrounds, textures, or even a photograph. Add something that will brighten and complement your brand. When creating a logo, it is also important to make sure that you include an exclusion zone. This is an area that surrounds the perimeter of your logo and ensures that any visual margins, headlines, or other text obscure your logo. Adding an exclusion zone will help your logo to stand out no matter where it is being used. The exclusion zone consists of a rectangular area surrounding the Maserati communication logo, within which no text or graphical elements are allowed. This is important because your logo is your business’s profile picture. It is the first thing that visitors to your site will see, and it is the most memorable part of your website. When you think about popular businesses, it is so easy to picture their logos. Games have even been made over our ability to memorize these little pictures! As such, your decision regarding what logo you use is very important. Often it is even beneficial to hire professional help to create your logo for you, just to make sure that it is everything you could want for your website regardless of your abilities to design. 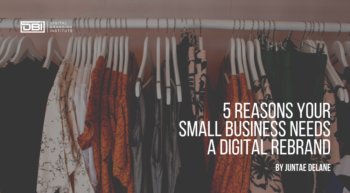 Getting your digital brand set up can be an exciting time, and its possible your articles and minor details can get away from you. 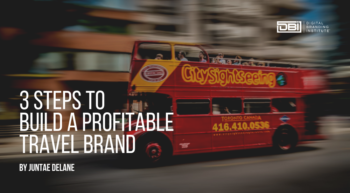 By writing up a brand identity guide, your digital brand will stay on track and give focus to both your offering and your intent, thereby creating a memorable digital brand in which visitors are willing to engage. Chatbots: Are They Good For Your Digital Brand?